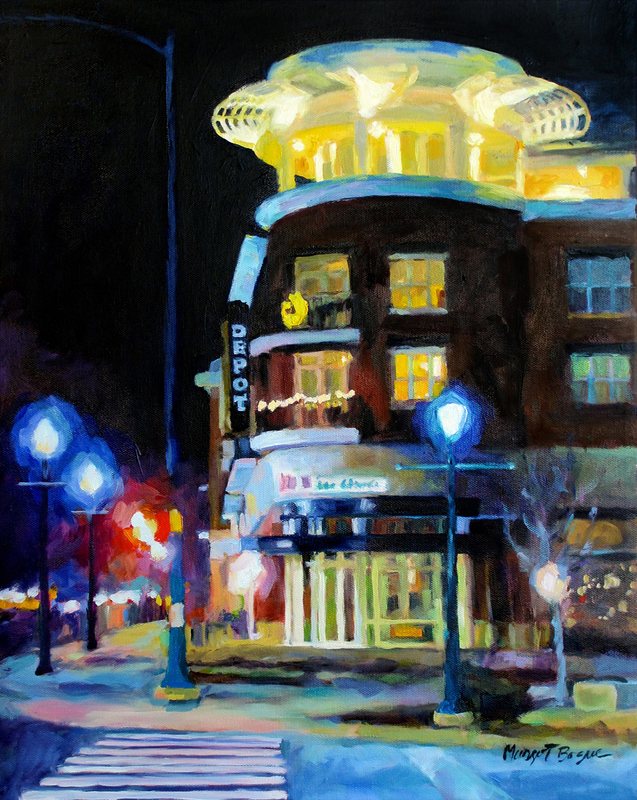 Depot at Night is by Fishers artist Margot Bogue, who will be at the Blue Peppermint Boutique, 8936 South St., Fishers. The Fishers Art Crawl, hosted by the City of Fishers, Fishers Arts Council and the Nickel Plate District Business Council, is set from 6 to 9 p.m. July 13. More than 40 artisans will be at 27 sites throughout the district, which stretches all along 116th Street from The Wine Guy at Grapevine Cottage to Blue Peppermint and then north to Meyer Najem. There are 11 sites where visitors can listen to live music and are encouraged to meet all the visual artists. The entire lineup is at FishersArtsCouncil.com.